Indonesia Legian hotels. - Hotel videos, user reviews, cheap booking! Showing 1 - 10 of 170 best hotels. | Sorted by rating. 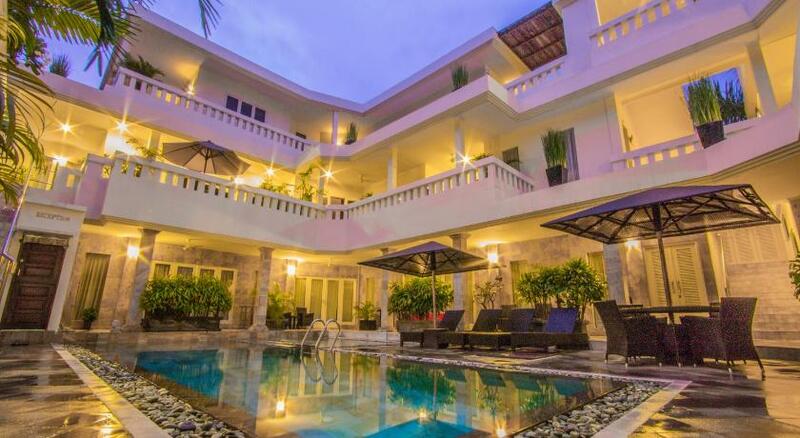 Beautiful Bali Villas enjoys a strategic location on the border of Legian and Seminyak areas. Offering free 1-way airport transfers, it boasts stylish villas with private pools and private parking. The Magani Hotel is in between downtown Kuta and Legian area, a 5-minute walk from Kuta Beach. It features a spa and outdoor swimming pool. With 2 beautifully landscaped pools with sunken bars, luxurious beachfront stays await guests at the Padma Resort. A 5-minute walk from the Traditional Art Market in Legian, Si Doi Hotel Legian offers modern rooms with a private bathroom. It has an outdoor pool, a bar and a restaurant on site. Bali Court Hotel and Apartment is a 5-minute walk from the Double 6 Beach. It offers an outdoor swimming pool, free parking on site and free wireless internet hotspot. The spacious Beach Melati Apartments are located only a 5-minute walk from Legian Beach. Guests can relax next to the outdoor pool, on a sun terrace surrounded by tropical plants. The Bali Niksoma Boutique Beach Resort is in Legian, 320 yards from Legian Beach. It features 2 swimming pools, a spa and restaurant. Wi-Fi and parking are free. 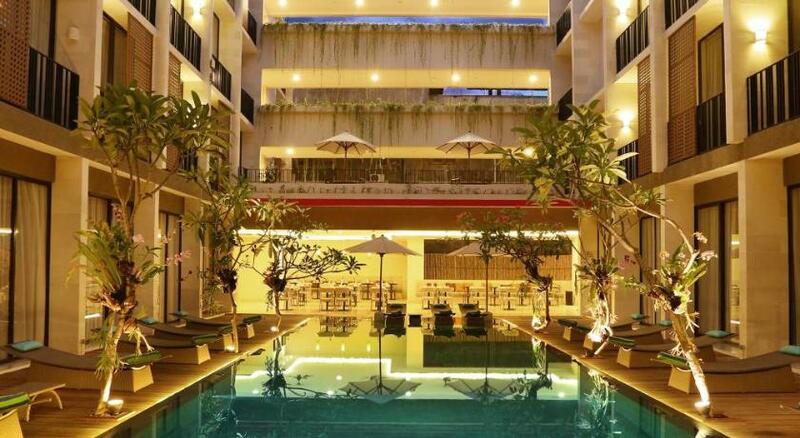 In central Kuta, Fontana Hotel Bali features an outdoor pool, spa treatments and free Wi-Fi in public areas. 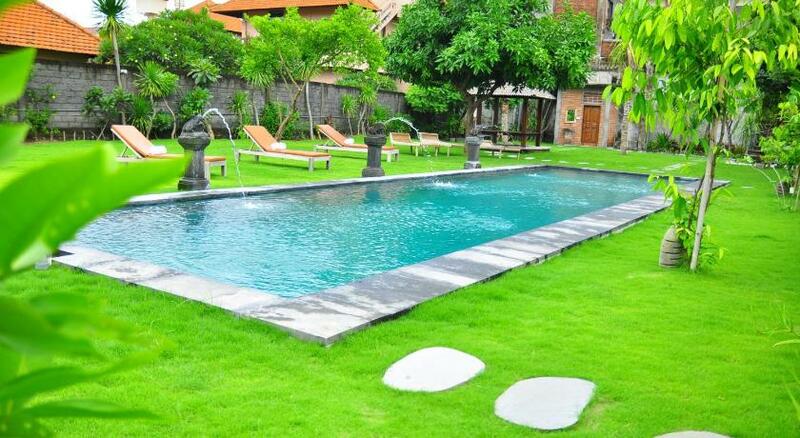 A 5-minute walk from Kuta Beach, the Hotel Terrace at Kuta features an outdoor pool with a deck. Guests enjoy views of the pool from all air-conditioned rooms. Free Wi-Fi is accessible in all areas. Offering the liveliness of Seminyak area with its richness of Balinese culture, this property provides free shuttles to Double Six Beach and Legian’s shopping area.